Mac users generally boast about the speed of the Mac laptops, and they rarely see the Mac getting slower or in the end, giving up and getting freezed due to the high load on the OS. But in the end, it too gets freezed up, and the mac users too don’t have an option other than long pressing the Power key to shut down the mac and restart it. There is nothing happening internally at that time. 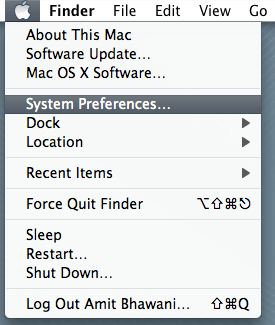 But the Mac has an option to restart the Mac OS X Lion when it freezes and has no functioning going on. Open the System Preferences from the Mac Menu on the top, or directly go to the Spotlight and search for System Preferences and open it. 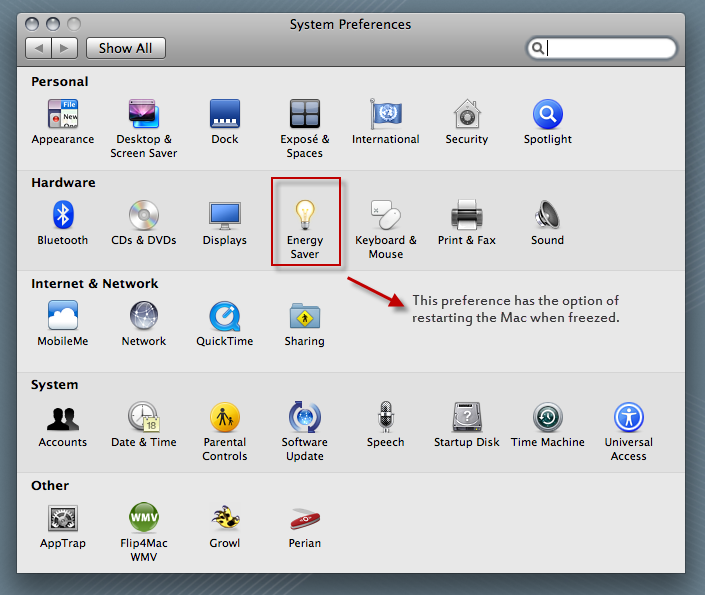 In the System Preferences, below the Hardware option, you need to click on “Energy Saver” for the option to change the brightness and set the power saving options, and control the internal system of Mac to run efficiently. In the Energy Saver options, you would see a list of options, the last one being “Restart automatically if the computer freezes”. 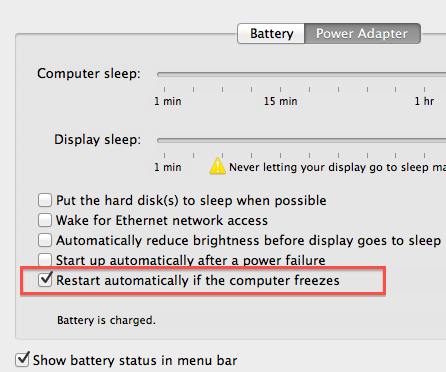 You need to select that option, so that the Mac restarts whenever it gets freezed and understands that a restart is required to bring the normal functioning back in the Mac. What do i do if th macbook upgrade of th intels processor is disturbed.